In this special edition, we talk BPM instead of BTM. Prepared meals in this city have come a long way. Though often stigmatized as being flavorless, unimaginative, full of preservatives and sodium and other dining deadly sins, this is no longer the case. So who’s the best out there? What do they offer? Is it worth the price? Where can you get meals? BTM is here to help. 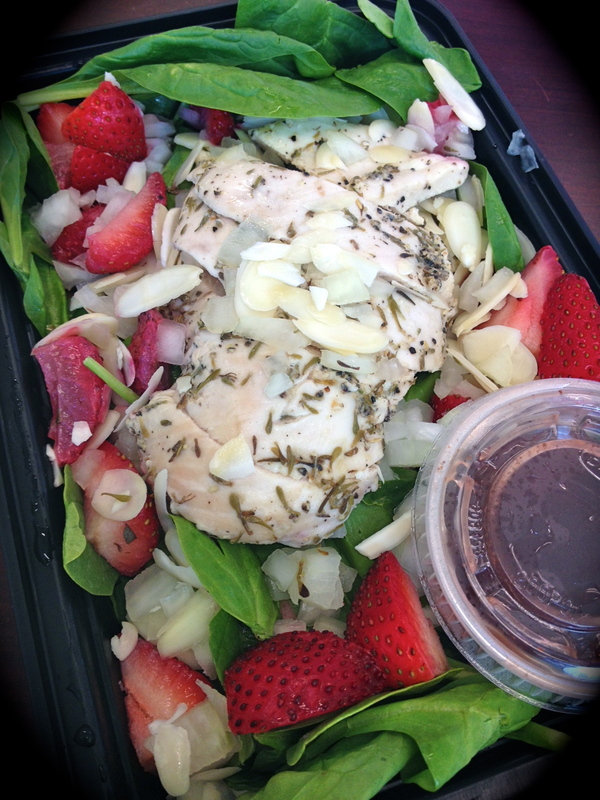 The BPM (Best Prepared Meals) come from Power Supply, which started out as a meal delivery service responding to the paleo diet craze in the Crossfit community. Paleo’s pretty much what it sounds like … you eat like a stone age, hunter/gatherer caveman. Lean proteins, veggies, nuts and (some) fruits. No dairy, no gluten, no added sugar, no beans, no no no no no. This sounds seriously limiting, so the fact that a small local business found a way to make this absolutely delectable is astounding. Recognizing that there are many ways to eat healthy, Power Supply recently expanded to offer two new lines. The “mixitarian” line is paleo-inspired, but incorporates “good” grains like nutty quinoa and hearty brown rice, while the vegetarian line is well, vegetarian. We put our money where our mouth is spent a week eating the mixitarian meals below. Power Supply is highly customizable. Each week, you take a look at the menu and decide if you want to order lunches, dinners or go all out and order lunches and dinners. Going out of town the second half of the week? No problem, you can choose to get three meals a week instead of five. Monday, Tuesday and Wednesday meals are delivered Monday mornings and Thursday and Friday meals are delivered Thursday mornings. Where are they delivered to you’re wondering? Your local gym. Even if you’re not a member of a gym, simply look at Power Supply’s list of participating locations and find the gym that’s closest to you. You select your location when using their easy online ordering system. Regardless of the line (mixitarian, vegetarian or paleo) Power Supply gets creative with their ingredients and menus, drawing from flavors from around the world. We love when they do takes on African peri-peri, Japanese bento boxes, Mexican rice bowls (made out of cauliflower rice of course) and more. Protein wise, in addition to the traditional chicken, beef and pork, Power Supply changes it up with bison, fish and shrimp dishes. 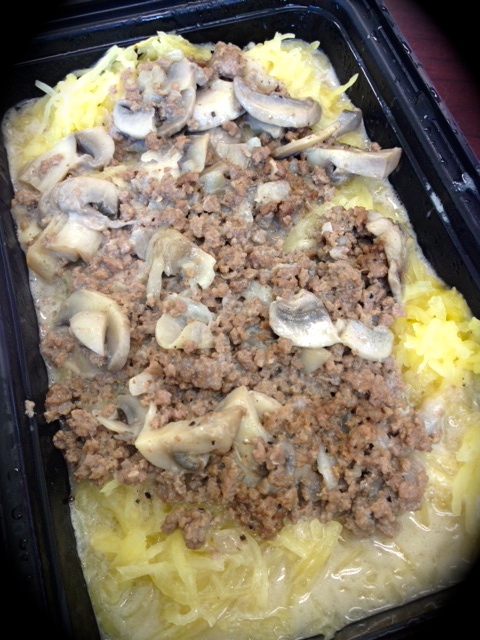 This Beef Stroganoff, for example, creatively uses spaghetti squash as impostor noodles and the creaminess comes from coconut milk. We’re nearing the end here, so it’s probably time to talk about cost. These five meals cost us $66 bucks. That’s about $13 a meal. It’s a little less if you set up a recurring order. Before you stop reading, consider how much money you spend on groceries to pack lunches that you end up throwing out at week’s end because of impromptu lunch meetings or trips out of town. Addicted to Seamless.com or that build-your-own bibim-bap place across the street? Dining out adds up as well. 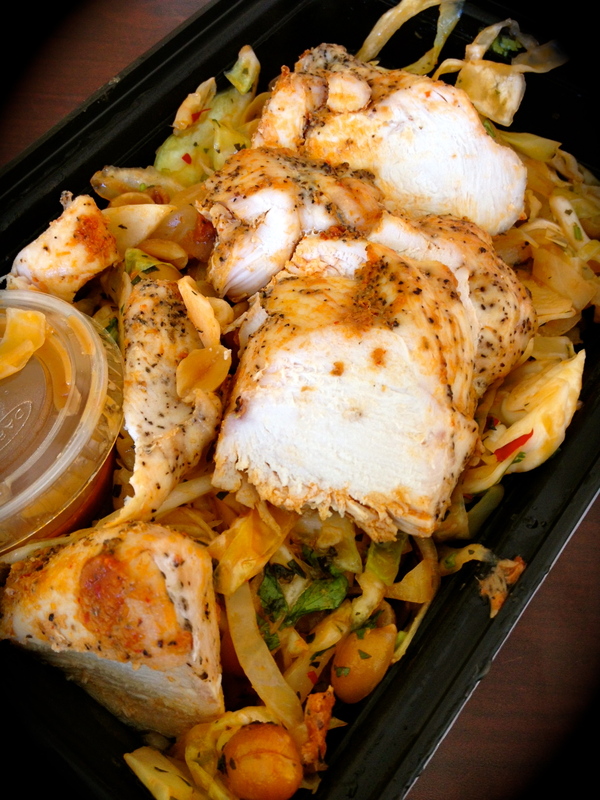 What you’re getting with these meals is value, variety, nutrition and convenience. If you can’t tell already, we’re smitten with Power Supply. Truth be told, we subsist on their meals when we’re not trying DC’s latest and greatest food for Best Thing on the Menu. One last added bonus for our gluten-free friends? All three of Power Supply’s lines are gluten free. Click here for strict paleo. 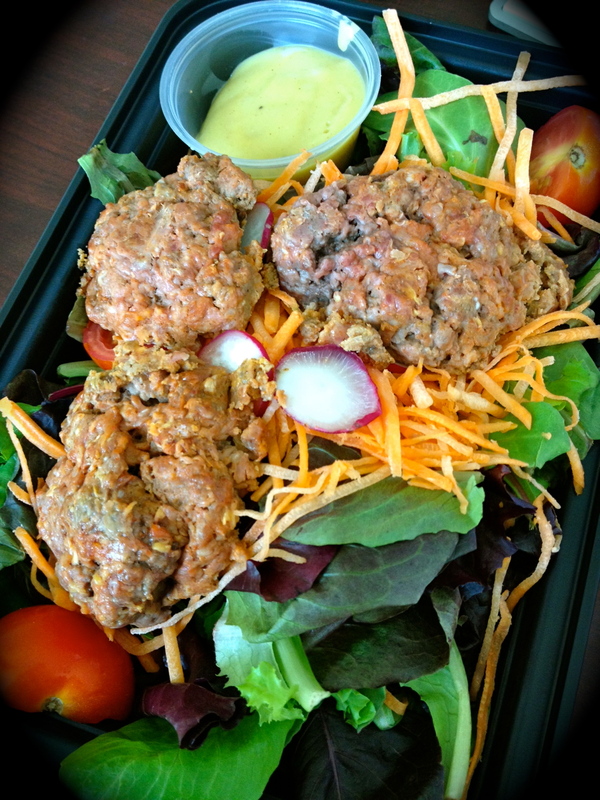 Click here for paleo-inspired mixitarian meals. Click here and scroll down for vegetarian. 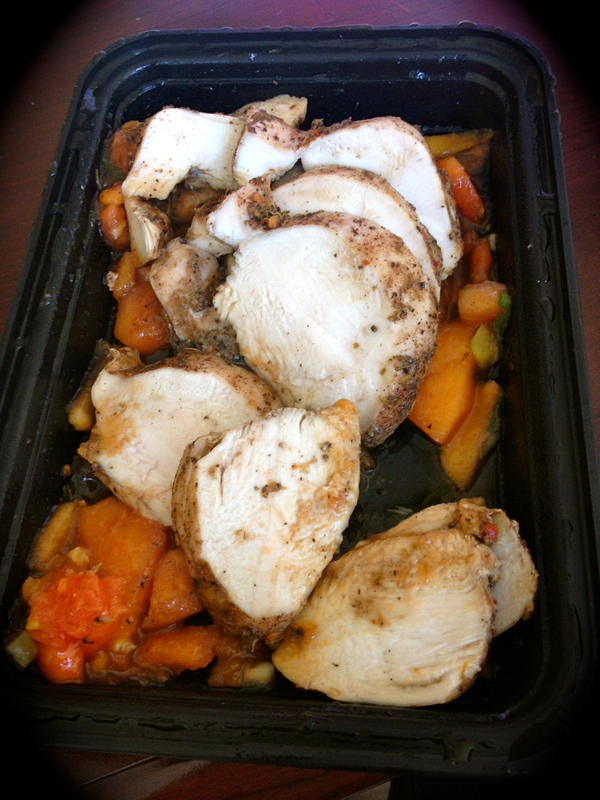 Power Supply not your BPM (Best Prepared Meals)? Share your favorite prepared meal company in the comments section.